When I was younger, I remember learning about an earthquake that took place in a foreign country called Haiti. It was my first glimpse into what devastation looks like, and the first my young mind had realized that life was not as easy for everyone as it was for me. I remember being so confused, and wondering why there were people in the world that were struggling to find food, water, and shelter. 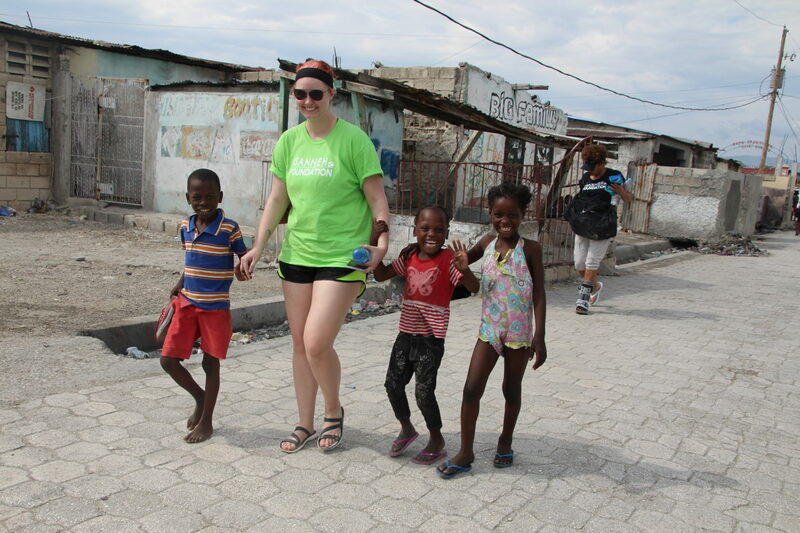 Little did I know that years later, I would be visiting Haiti, and it would still be struggling with a lot of the same problems I was taught about when I was younger. Arriving in Haiti felt very similar to arriving in a lot of other foreign countries I’ve been to; tropical, warm, and inviting. It wasn’t until we started driving into the city when I started to see some of the struggle that I’ve heard about. There is trash all over the place, and an actual dried up river that has been filled with garbage. People have constructed homes and buildings with the most random things; plastic bottles, port-a-potties, and sheets of random metal. Yet, there is so much life and energy in the city. Even though there has been so much devastation and poverty, the people are so resilient and strong. They continue to go about their lives and make a living in these conditions, which seems so crazy to someone like me, coming from my life in America. The kids are all smiling and cheerful when you see them, and aren’t shy whatsoever. They are excited to ask your name, and introduce themselves to you. It was very cool hanging out with the kids, watching them learn English, and helping pass out some soccer cleats for them to play in. Even though all the cleats were used, they were basically brand new to the kids. They were all so happy to have some cool, brightly colored new shoes to play soccer in. It’s been crazy witnessing first hand what life is like here, and it makes me really sad that it isn’t talked about more back home. There is so much we take for granted, and being in Haiti is a very stark reminder of that.